These are a Good-Buy! 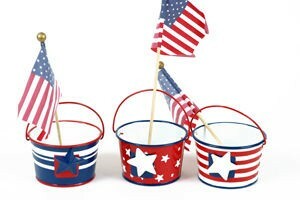 Great set of three red, white and blue pails. A perfect way to light up your patriotic holidays. They are approx. 2.5" high. Tealight candles not included. You can fill them with other fun party goodies too!